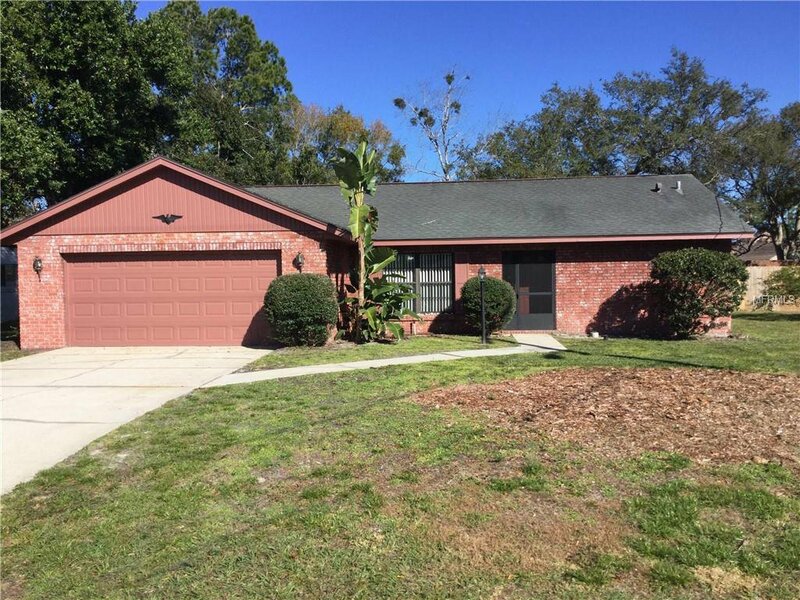 Spacious 2 bedroom, 2 bath home in sought after Lake Marie Estates!!! Home has just been painted inside and has NEW carpet... ready to move right in!! Roof and A/C are newer, Brand new Garage door and Opener. Master bedroom has large walk-in closet and a good sized walk-in shower. Oversize garage for your cars... with room for storage or work area. Additional storage with shed in back yard. Large back yard backs up to Eagle Estates (gated community) in DeBary Golf and Country Club. Come see this well maintained, move-in ready home today!!! Listing courtesy of CENTRAL FLORIDA HOME PROS LLC. Selling Office: NON-MFRMLS OFFICE.